Dr. Gillis presents on the digital divide. Written by Isaac Bell The Centre for Public Health and Zoonoses (CPHAZ) held their 2018 symposium in Rozanski Hall at the University of Guelph this past Friday (June 8th). The keynote speaker at the symposium was Dr. Craig Stephen, a professor at the University of Saskatchewan and executive director of the Canadian Wildlife Health Cooperative. Harper Lab collaborators Dr. Dan Gillis and MSc student Nic Durish, from the school of computer science, were also featured presenters. Dr. Stephen’s talk, entitled ‘Can OneHealth Save the World?’,set the tone for the day’s agenda, with themes of systems-thinking and transdisciplinarity continuously emerging across a range of topics. He challenged us to reconsider our perceptions of health by emphasizing the interplay of humans and the so-called natural environment. For instance, should the health of a salmon population be defined as simply having enough fish for humans to kill at a steady rate? Salmon provide numerous ecosystem services - the effects of which undoubtedly benefit humans - so ascribing a definition of health based on short-term economic returns may prove harmful in the not-so-long term. In the following session, Dr. Gillis spoke to the ‘Potential Health Aspects of the Digital Divide’. Focusing on Rigolet, an Inuit community in Nunatsiavut, Labrador, Gillis highlighted how dialup-level internet speeds and the absence of cellphone service can serve as a barrier to accessing information, collecting data, and addressing health concerns. Rigolet is representative of much of Inuit Nunangat in this respect, where the digital divide is yet another aspect in which primarily Indigenous communities face continued disparities when compared to national standards. In response, Gillis’ research is undertaking a two-step approach: the first step is to quantify the extent of the digital divide using strategically placed Raspberry Pi’s (essentially mini computers) to measure upload and download speeds. The second step is to connect Northern communities to the internet using a technology called RightMesh (www.rightmesh.io). An immediate benefit of this initiative would be, for example, the ability for residents to deposit cheques via their mobile phones, as opposed to paying a deposit fee at the local grocery store. Nic Durish, a masters student with Dr. Gillis, presented a poster on ‘A Community-Led Approach to Contextualizing Gamification’. 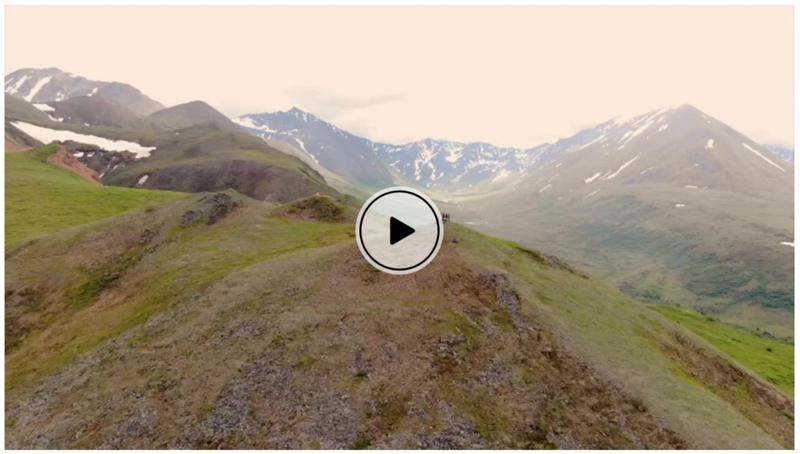 This work is centered around the eNuk program (www.enuk.eco), whose “mobile and web applications allow users to track and share changes in weather, climate, environment, wildlife, and plants, as well as the resulting cultural, physical, and mental health impacts”. eNuk, while still in the development phase, is being piloted in Rigolet led by local researchers Inez Shiwak and Charlie Flowers, alongside Ashlee Cunsolo, Sherilee Harper, and Dan Gillis, and its usage will be facilitated by the RightMesh network. After the lunch break, Nic participated in the 2-minute student challenge, and delivered an excellent speech to win third place (and $100!) out of all the contestants. Congrats to Nic and Dr. Gillis, and thanks to the CPHAZ organizers for administering yet another successful symposium! To view all of the conference presentations, click here. Durish, N. et al. A Community-Led Approach to Contextualizing Gamification. Poster presented at: 3rd CPHAZ Symposium; 2018 Jun 8; Guelph, Ontario. Sincerest congratulations to undergraduate student Marta Thorpe, who was recently accepted to the Doctor of Dental Surgery (DDS) program, Faculty of Dentistry at the University of Toronto! Marta has been examining the range and extent of community-based research methods used in Arctic sciences. Marta will begin her new program at the University of Toronto this fall semester. How are perceptions associated with water consumption in Canadian Inuit? Check Out this New Publication to Find Out! Congratulations to Carlee Wright for publishing her second article from her MSc thesis! Click here to read the full article... Citation: Wright, C.J., Sargeant, J.M., Edge, V.L., Ford, J.D., Farahbakhsh, K., Shiwak, I., Flowers, C., Gordon, A.C., RICG, IHACC Research Team (Berrang-Ford, L., Carcamo, C., Llanos, A., Lwasa, S., Namanya, D.B. ), and Harper, S.L. (2018). How are perceptions associated with water consumption in Canadian Inuit? A cross-sectional survey in Rigolet, Labrador. Science of The Total Environment, 618(15): 369–378. Concerns regarding the safety and aesthetic qualities of one's municipal drinking water supply are important factors influencing drinking water perceptions and consumption patterns (i.e. sources used and daily volume of consumption). In northern Canada, Inuit communities face challenges with drinking water quality, and many Inuit have reported concerns regarding the safety of their drinking water. 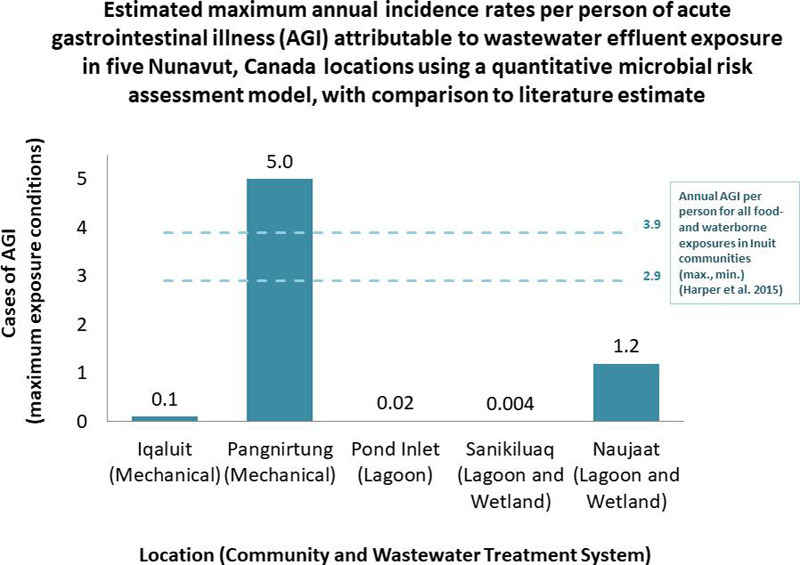 The objectives of this research were to describe perceptions of municipal tap water, examine use of water sources and changes following the installation of a potable water dispensing unit (PWDU) in 2014, and identify factors associated with water consumption in the Inuit community of Rigolet. This study used data from three cross-sectional census surveys conducted between 2012 and 2014. Principal component analysis (PCA) was used to aggregate data from multiple variables related to perceptions of water, and logistic regressions were used to identify variables associated with water consumption patterns. Three quarters of residents reported using the PWDU after its installation, with concomitant declines reported in consumption of bottled, tap, and brook water. Negative perceptions of tap water were associated with lower odds of consuming tap water (ORPCAcomponent1 = 0.73, 95% CI 0.56–0.94; ORPCAcomponent2 = 0.67, 95% CI 0.49–0.93); women had higher odds of drinking purchased water compared to men (OR = 1.90, 95% CI 1.11–3.26). The median amount of water consumed per day was 1 L. Using brook water (OR = 2.60, 95% CI 1.22–5.56) and living in a household where no one had full-time employment (OR = 2.94, 95% CI 1.35–6.39) were associated with consuming > 2 L of water per day. 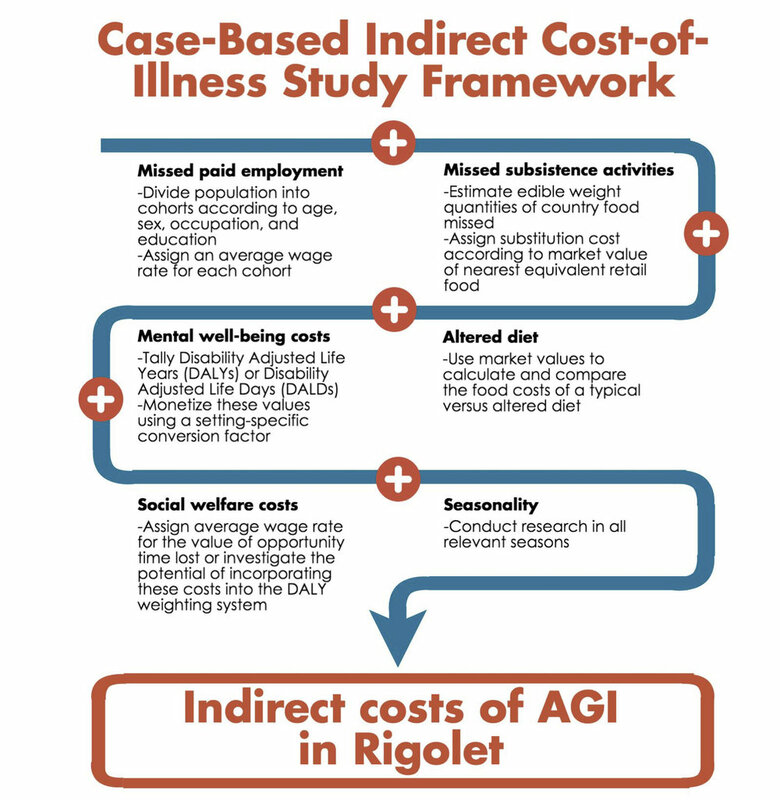 Results of this study may inform drinking water interventions, risk assessments, and public health messaging in Rigolet and other Indigenous communities. Participatory Scenario Planning for Climate Change - New Publication! Congratulations to Melanie Flynn, for her recent publication in Environmental Science & Policy! Melanie conducted a systematic review of the literature to identify and evaluate how participatory scenario planning has been used in the Arctic. Flynn, M., Ford, J., Pearce, T., and Harper, S.L. (2018). Participatory scenario planning and climate change impacts, adaptation and vulnerability research in the Arctic. Environmental Science & Policy. 79:45–53. Participatory scenario planning (PSP) approaches are increasingly being used in research on climate change impacts, adaptation, and vulnerability (IAV). We identify and evaluate how PSP has been used in IAV studies in the Arctic, reviewing work published in the peer-reviewed and grey literature (n = 43). Studies utilizing PSP commonly follow the stages recognized as ‘best practice’ in the general literature in scenario planning, engaging with multiple ways of knowing including western science and traditional knowledge, and are employed in a diversity of sectors. Community participation, however, varies between studies, and climate projections are only utilized in just over half of the studies reviewed, raising concern that important future drivers of change are not fully captured. The time required to conduct PSP, involving extensive community engagement, was consistently reported as a challenge, and for application in Indigenous communities requires careful consideration of local culture, values, and belief systems on what it means to prepare for future climate impacts. Congratulations to Carlee Wright on her first first-author publication! 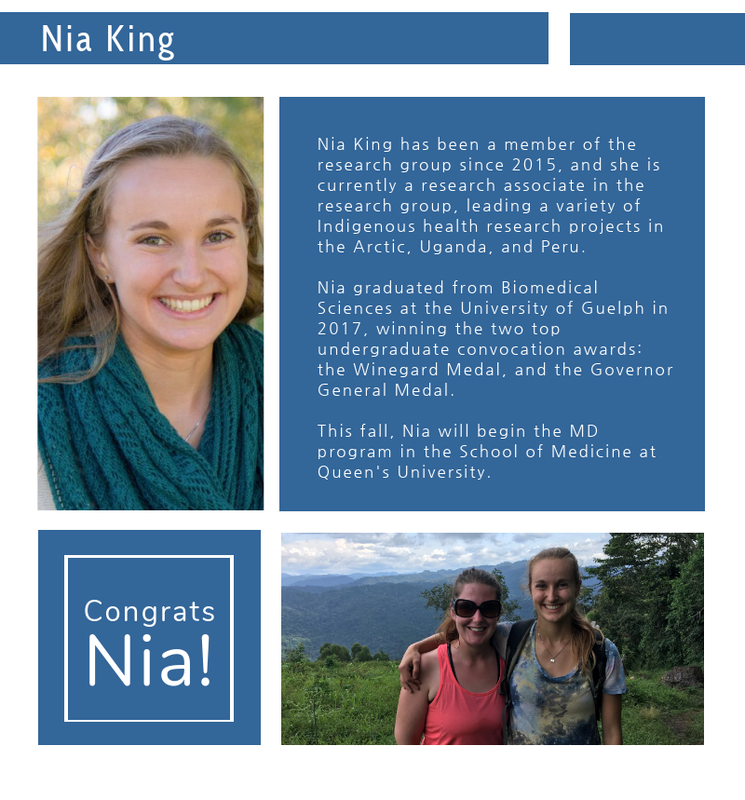 Carlee worked with the Rigolet Inuit Community Government to examine potential associations between stored drinking water and acute gastrointestinal illness in Labrador Inuit. Citation: Wright, C.J., Sargeant, J.M., Edge, V.L., Ford, J.D., Farahbakhsh, K., Shiwak, I., Flowers, C., IHACC Research Team, and Harper, S.L. (2017). Water quality and health in northern Canada: stored drinking water and acute gastrointestinal illness in Labrador Inuit. Environmental Science and Pollution Research, DOI: 10.1007/s11356-017-9695-9. Click here to access the article. 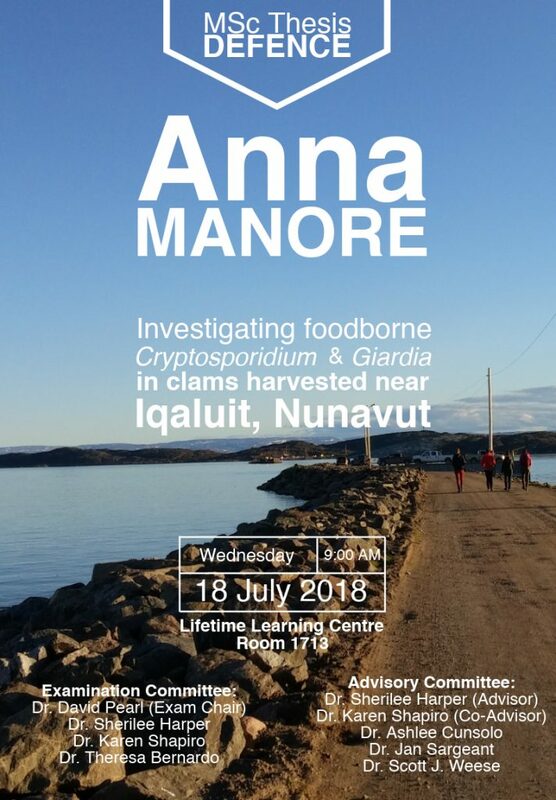 Abstract: One of the highest self-reported incidence rates of acute gastrointestinal illness (AGI) in the global peer-reviewed literature occurs in Inuit communities in the Canadian Arctic. This high incidence of illness could be due, in part, to the consumption of contaminated water, as many northern communities face challenges related to the quality of municipal drinking water. Furthermore, many Inuit store drinking water in containers in the home, which could increase the risk of contamination between source and point-of-use (i.e., water recontamination during storage). To examine this risk, this research characterized drinking water collection and storage practices, identified potential risk factors for water contamination between source and point-of-use, and examined possible associations between drinking water contamination and self-reported AGI in the Inuit community of Rigolet, Canada. The study included a cross-sectional census survey that captured data on types of drinking water used, household practices related to drinking water (e.g., how it was collected and stored), physical characteristics of water storage containers, and self-reported AGI. Additionally, water samples were collected from all identified drinking water containers in homes and analyzed for presence of Escherichia coli and total coliforms. Despite municipally treated tap water being available in all homes, 77.6% of households had alternative sources of drinking water stored in containers, and of these containers, 25.2% tested positive for total coliforms. The use of transfer devices and water dippers (i.e., smaller bowls or measuring cups) for the collection and retrieval of water from containers were both significantly associated with increased odds of total coliform presence in stored water (ORtransfer device = 3.4, 95% CI 1.2–11.7; ORdipper = 13.4, 95% CI 3.8–47.1). Twenty-eight-day period prevalence of self-reported AGI during the month before the survey was 17.2% (95% CI 13.0–22.5), which yielded an annual incidence rate of 2.4 cases per person per year (95% CI 1.8–3.1); no water-related risk factors were significantly associated with AGI. Considering the high prevalence of, and risk factors associated with, indicator bacteria in drinking water stored in containers, potential exposure to waterborne pathogens may be minimized through interventions at the household level. Written by Anna Manore, MSc Candidate After many long flights, I landed in Arkhangelsk, Russia, to begin a week of learning with the Collaborative Arctic Summer School in Epidemiology (CASE). CASE is a meeting of epidemiology faculty and students from the United States, Canada, Norway, and Russia. 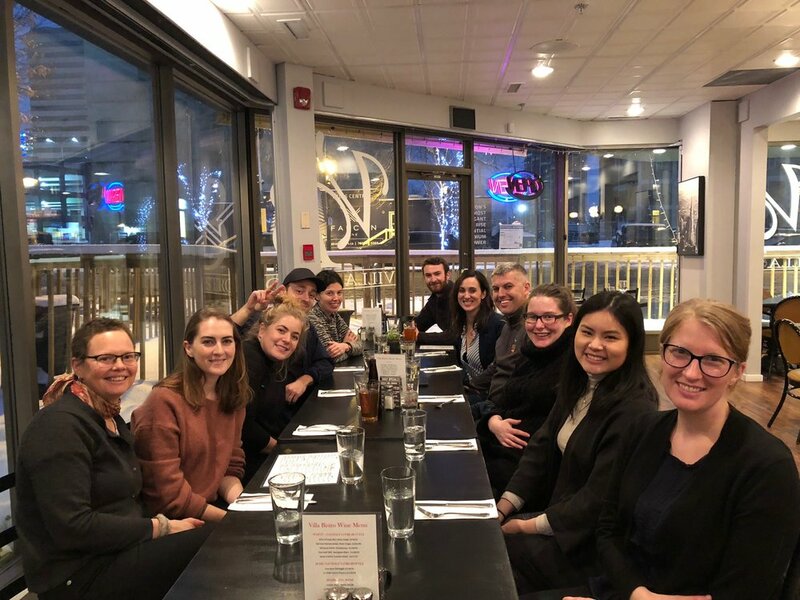 It’s a great opportunity to meet with other researchers working in Arctic contexts, and I’m fortunate because this was my second time attending! A few other CASE participants from Alaska had been on my flight from Moscow, and after waiting for the rest of the participants’ flights to arrive, we set off on a 3.5-hour drive to Golubino. Golubino is a resort along the Pinega River, and it was the beautiful setting of CASE 2017. The food was delicious, and always surprising! Breakfast on the first day included porridge with berries (surprisingly savoury), and small pastries (surprisingly filled with fish). Presentations from faculty and students began almost immediately, and continued throughout the week. Although every presentation focused on Arctic Epidemiology, the populations and outcomes of interest varied widely. We heard about suicide and suicide prevention, cardiovascular disease, perinatal outcomes, and environmental contaminants, among other topics. One presentation that stood out was by Ketil Lenert Hansen from the University of Tromsø- on the topic of “Ethical and methodological Issues in working with Indigenous peoples in the Arctic”, and focused on the Sámi context in Northern Europe. From Ketil’s talk, there seemed to be common themes between issues faced by Sámi and by Indigenous peoples in Canada. Ketil also recommended a film, “Sámi Blood”, which is a dramatized telling of a Sámi girl’s experience growing up in Sweden in the 1930s. In the evenings, we had time for activities! The first night’s adventure was a walk through the Taiga forest to a holy spring. Some in our group were suffering from stuffy noses, so our tour guide showed us how to use the forest ants as a remedy. There were large anthills made of pine needles along our path, and to help a stuffy nose, you tap your hands three times on the anthill, bring your hands to your face, and inhale. The ants make your hands smell like vinegar, which, we all learned, is very effective at clearing out sinuses. Tuesday night’s activity was an excursion to the nearby “Golubinsky proval” karst caves. These are limestone caves carved by water, and there are tunnels are over a kilometre long. The temperature inside the caves is much cooler than outside, so the white limestone was coated in ice. Unfortunately, most of the tunnels were flooded, so we couldn’t go very far into the cave. But – what we could see was stunning, and definitely worth getting all dressed up for! Wednesday night was team-building activities, followed by a campfire, tea tasting, and traditional songs and dances by the river. We heard that the singers, dressed in traditional costume, are all local retirees! Our last night, Thursday, saw us all making “Pinega shanezhki” pies and relaxing after a trip to a monastery. Friday was our long drive back to Arkhangelsk, with a stop at “Malye Korely”, an open-air museum of wooden architecture from the Arkhangelsk Region. From the museum, it was back to Arkhangelsk and the airport – a great end to a great week at CASE! Congratulations to Catherine Huet for her new publication in BMC Public Health! 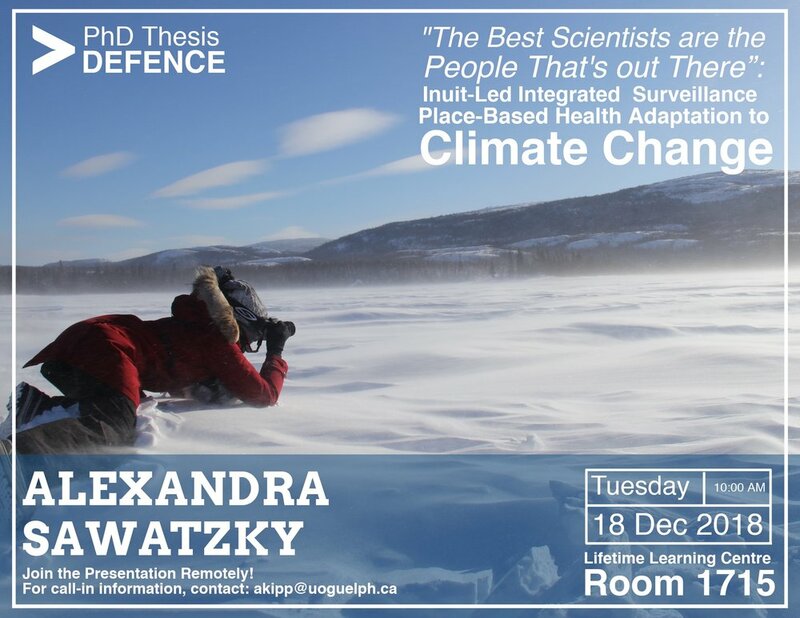 Her article examines food security in household with children in Iqaluit. Click here for free access to the open-access article! Background: High rates of food insecurity are documented among Inuit households in Canada; however, data on food insecurity prevalence and seasonality for Inuit households with children are lacking, especially in city centres. This project: (1) compared food consumption patterns for households with and without children, (2) compared the prevalence of food insecurity for households with and without children, (3) compared food consumption patterns and food insecurity prevalence between seasons, and (4) identified factors associated with food insecurity in households with children in Iqaluit, Nunavut, Canada. Methods: Randomly selected households were surveyed in Iqaluit in September 2012 and May 2013. Household food security status was determined using an adapted United States Department of Agriculture Household Food Security Survey Module. Univariable logistic regressions were used to examine unconditional associations between food security status and demographics, socioeconomics, frequency of food consumption, and method of food preparation in households with children by season. Results: Households with children (n = 431) and without children (n = 468) participated in the survey. Food insecurity was identified in 32.9% (95% CI: 28.5–37.4%) of households with children; this was significantly higher than in households without children (23.2%, 95% CI: 19.4–27.1%). The prevalence of household food insecurity did not significantly differ by season. Demographic and socioeconomic characteristics of the person responsible for food preparation, including low formal education attainment (ORSept = 4.3, 95% CI: 2.3–8.0; ORMay = 3.2, 95% CI: 1.8–5.8), unemployment (ORSept = 1.1, 95% CI: 1.1–1.3; ORMay = 1.3, 95% CI: 1.1–1.5), and Inuit identity (ORSept = 8.9, 95% CI: 3.4–23.5; ORMay = 21.8, 95% CI: 6.6–72.4), were associated with increased odds of food insecurity in households with children. Fruit and vegetable consumption (ORSept = 0.4, 95% CI: 0.2–0.8; ORMay = 0.5, 95% CI: 0.2–0.9), as well as eating cooked (ORSept = 0.5, 95% CI: 0.3–1.0; ORMay = 0.5, 95% CI: 0.3–0.9) and raw (ORSept = 1.7, 95% CI: 0.9–3.0; ORMay = 1.8, 95% CI: 1.0–3.1) fish were associated with decreased odds of food insecurity among households with children, while eating frozen meat and/or fish (ORSept = 2.6, 95% CI: 1.4–5.0; ORMay = 2.0, 95% CI: 1.1–3.7) was associated with increased odds of food insecurity. Conclusions: Food insecurity is high among households with children in Iqaluit. Despite the partial subsistence livelihoods of many Inuit in the city, we found no seasonal differences in food security and food consumption for households with children. Interventions aiming to decrease food insecurity in these households should consider food consumption habits, and the reported demographic and socioeconomic determinants of food insecurity.